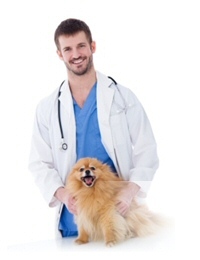 VBS Direct Ltd - VBS Supplement Range - Innovative solutions for the veterinary professional. Create your Own Range of Nutraceuticals? VBS Direct is owned and run by vets for vets in practice. Our aim is to support UK veterinary surgeons with a range of proven and successful supplement products to provide safe long-term supplements to your clients at cost effective price points. A proven and successful range of pet supplements with a 20 year history in North America now available to veterinary practices in the UK under the VBS brand since 2010. Vet Exclusive - The VBS range supports UK veterinary practices by only supplying direct vet practices and not the internet pharmacies. Comprehensive Range - The VBS supplement range aids a large range of common small animal disorders and deficiencies, with new products launched every 6 months. Good Value - We price the product to the vet clinic to maintain a healthy margin whilst also keeping the affordable to the majority of pet owners seeking an affordable long-term supplement for their pet. Highly Palatable liquid formulations provide long-term client compliance.